Jin Yang Real Estate Corporation paid $4.15m for a 20,000 sqf shopping center in Lauderhill for $213/sqf – its first real estate investment in the United States. Jin Yang Real Estate Corporation is a Florida entity set up earlier this year by a Kendall-based Mr Nanyang Wang. There was plenty of coverage of the Alibaba event that Teddy and Mike attended in Detroit last week, and in the MIT Tech Review, Emily Parker outlines some of the US small business success stories that were highlighted there. The Gateway 17 conference was part of Jack Ma’s effort to achieve two goals: mollify Donald Trump’s protectionist urges and increase Alibaba’s US/global sourcing footprint. Success on the former goal remains to be seen, but the latter goal is the one that commentators have focused on. Christopher Balding in Bloomberg View notes that Alibaba has nowhere near the logistics and delivery platform one would expect from the “Amazon of China,” and that this will make it hard to attract SMEs (intimidated by the difficulties of shipping to China) and large firms (who won’t see a cost benefit from going with Alibaba). However Alibaba wants to continue showing it’s commitment to Detroit, and says it’s considering a distribution center in the area. "They like to try to eat more healthy products once a week or fortnight. It's a big trend for mainland China consumers, especially those aged 20 to 35," said Ellis Wang, Shanghai-based marketing manager at U.S. food giant General Mills, which owns top dumpling brand Wanchai Ferry. The fallout from Panama and China’s mutual recognition continues. Panama and Beijing’s diplomatic embrace was backed by Panama's business community, which has set its sights on attracting more investment from China. According to Reuters, initial approaches started soon after President Carlos Varela took office in July 2014, but a push for full ties was not seriously undertaken until a tacit diplomatic truce between Beijing and Taipei in place since 2008 fractured last year, as we had previously suspected. In other news you heard here first in the wake of the Panama-China connection, the planned canal across Nicaragua seems to be officially dead. Per the UK’s Times, construction had been due to start this year, but residents along the planned route have reported no signs of any activity. ProNicaragua, the Nicaraguan government’s investment agency, made no mention of the project in its 2017-2021 plan. A summary of an interview with China’s ambassador to Lima, Jia Guide. The Ambassador states that China will continue encouraging top-tier companies to invest in Peru, thus "serving as [growth] engine for traditional sectors like mining, hydrocarbons and infrastructure, while creating new growth drivers in fields like environmental protection, renewable energies and information connectivity.” He also notes that we must speed up trade cooperation, trying to optimize the bilateral free trade agreement […] and third, we must continue to strengthen humanistic and cultural exchange, focusing on education, technology, sanitation and tourism cooperation." Berries continue to flow from Latin America to China. the state of Jalisco sent its first shipment of blueberries in 2015, and last year sent it’s first shipments of raspberry and strawberry to Dubai, Kuwait, and Singapore. As a result, Ildefonso Guajardo, Mexico’s economy minister, suggests his country could shift its trade focus to China from the U.S., in the wake of the latter’s threats to tear up NAFTA. 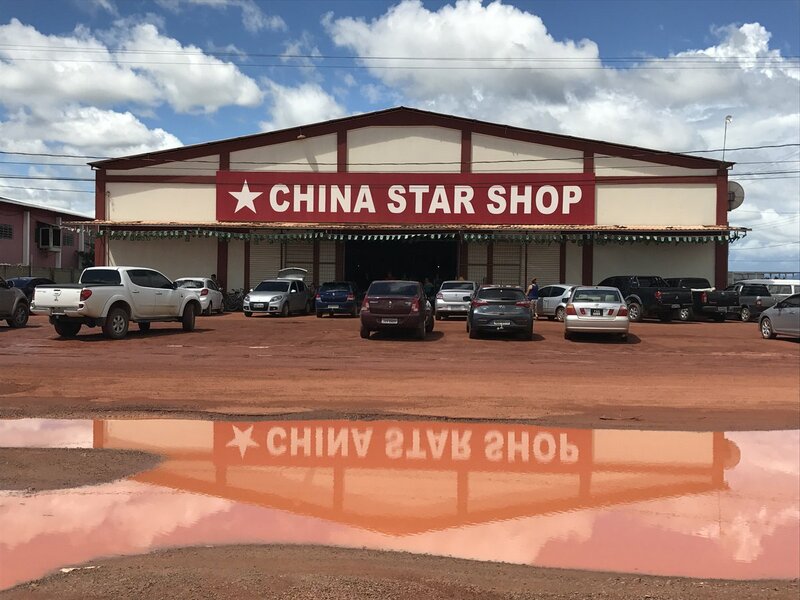 "Just returned from southern Guyana, where Chinese merchants have set up a remarkable trading hub in Lethem. Packed with Brazilian shoppers." It’s not just China Latin American countries are looking for FTAs with. Costa Rica is aiming to reach a free trade agreement and an investment pact with Japan as part of the Central American country’s strategy to diversify its economy based on business-friendly but environmentally conscious development platforms, Foreign Trade Minister Alexander Mora says in an interview with The Japan News. Costa Rica’s FTAs with China and Singapore entered into force in 2011 and 2013; last year, South Korea also reached an FTA with six Central American countries including Costa Rica. German's ambassador to China highlights that the EU and US cannot ignore Beijing’s Belt and Road Initiative. While questions remain about China’s ability to follow through on the Belt and Road vision, it’s impact on Europe’s periphery and surrounding areas means that China’s growing presence needs to be addressed. The Ambassador suggests two approaches: partner with China to close development gaps, while reinforcing the open, transparent and non-hierarchical world order (as he notes seems to be working with the Asian Infrastructure Investment Bank); and offering a competing model of local content, transparent bidding, and environmental and labor standards that would benefit the host countries of infrastructure projects. A good summary of what Anbang and chairman Wu Xiaohui have accomplished, and the difficulties the firm (and the man) now face. Ping An Bank, the bank financing division of the Chinese insurer, has extended a $700 million loan to the developers of Chicago’s 95 story Vista Tower, said to be the biggest construction loan in the city’s history. The financing will allow partners Magellan Development Group and Dalian Wanda Group to complete the billion-dollar, mixed-use luxury skyscraper by 2020. China Oceanwide purchased a 15,995 sqf retail property at the corner of First and Mission Streets in San Francisco for $32.5m. The deal further solidifies their control around the ambitious $1.6 billion, Oceanwide Center mixed-use project that broke ground last December and is expected to be the second-tallest skyscraper in San Francisco when complete. This was the big financial news last week. MSCI, which runs the benchmark global equity index, has agreed to include Chinese stocks in the index, forcing passive investors who track the index to buy those stocks. MSCI’s move means mainland equities, known as A-shares, will next year be included in its flagship emerging markets index, obliging the estimated $1.6tn of investment funds that track the index to buy the stocks. However, Chinese shares will only have a 5% weighting, meaning that they will be one-twentieth what they should be in the basket, limiting their potential upside. China Investment Corporation is looking to buy 1515 Broadway, home to Viacom, from SL Green in a deal that could value the 1.75m sqf tower at around $2 billion, or around $1,142/sqf. SL Green is denied a deal has been reached. Last year, CIC, which is a Chinese sovereign wealth fund, bought a 45 percent stake in 1221 Sixth Avenue. China’s bank regulator ordered domestic lenders to check the “systemic risk” presented by “some large enterprises” involved in overseas buying sprees, sending stock prices of some of the country’s most acquisitive private-sector companies sharply lower. As a result, shares in companies controlled by Dalian Wanda, Fosun International and conglomerate HNA all fell. The buzzwords du jour inside the Beltway are “Thucydides Trap,” a catchphrase popularized by Graham Allison in his new book “Destined for War.” The phrase purports to describe the fact that “on the current trajectory, war between the U.S. and China in the decades ahead is not just possible, but much more likely than currently recognized.” The idea comes from Thucydides’ the Peloponnesian War, in which the established Sparta was threatened by the rise of Athens, and the resulting change in balance of power made war almost inevitable. Replace “Sparta” with “the US” and “Athens” with China, and you see why people, even in the White House, are nervous after reading this book. China’s population is aging so rapidly that an ever smaller pool of young people will have to support a growing number of old people, who lack proper welfare provisions; the country is an ecological disaster zone; the dead hand of Communist Party control makes necessary economic reforms difficult; innovative thinking is hampered by censorship; and so on. In terms of military hardware—aircraft carriers and the like—China still lags well behind the United States. And the United States has a wide network of allies in Asia, while China has almost none. He goes on to highlight several other books (notably Amitai Etzioni’s “Avoiding War With China”) which would be better prisms through which to view the trans-pacific challenge.